Gore’s family plays a sport water game every month to help lower the bill, his two kids moved from baths to quick showers and compete to see who can take the fastest shower. They do not yet have a Waterfree in their present home but his friend just installed one in his playhouse in Arizona. I like this campaign and am happy to help Jason spread the word to golf courses and resorts throughout California, the U.S and around the world. He believes the tech is innovative, extremely hygienic and odor free, and it saves both money and water making it an impactful sports tech product. Oakmont C.C. was founded in 1922. The 42,000 square foot clubhouse and immaculate facilities include a driving range, men’s and women’s locker rooms, card rooms, a professionally equipped exercise room and pool. Golf is played 12 months a year by the active, equity club membership, all year round. Cell phones are not allowed during play or in the buildings but text messaging is now fine. The property now has 15 Falcon Waterfree urinals on property saving 750,000 gallon a year, according to GM Scott Heyn, and the rebates are a large reason it was done. Heyn says that corporate PGA, the Golf Course Superintends Association of America (GCSAA) 19,000 members in more than 72 countries and the National Golf Course Owners Associations (NGCOA) 5,300 members on behalf of over 7,200 golf courses, has a combined aim to be water efficient and stay ahead of the curve. Heyn believes every course and the state of CA is looking at all or some of what they have accomplished for water usage conservation. He feels that courses not prepared will be in trouble. Oakmont depended on rebate programs. The Metropolitan water district $2.4 million rebate they received for their irrigation system is being looking at it by other courses as a model. Their reduction project involved 26 acres of irrigated turf that transformed the course back to original CA landscape. They have a new high tech irrigation system that saves money by ensuring the proper amount of water is used. Drip irrigated technology means no overhead watering takes place dropping water usage by 20-25 percent. Oakmont water conservation consists of using recycled water for irrigation, limiting watering hours and retrofitting restroom fixtures with Waterfree Urinals. These are a few of the sustainable initiatives being implemented as part of their water conservation strategy, yet the conversation is ongoing. Last thing I wanted to know was his perspective on private vs. public courses and how they differ on water issues. Heyn’s prior job at Kemper Sports allowed him to work with public city courses. Heyn assures me they are adamant about changing out urinals and implementing efficient irrigation as are the local municipalities. Most of these courses are for profit so the money savings goes back to the owners. Another factor is whether water comes from a private well or via public utilities. If a golf course has a private well, they may be slower to upgrade water systems because their restrictions and cost of usage is normally less than public water costs. The drought has impacted everybody in SoCal. The cost of water is expensive and the current business model for golf courses is not working. Many counties and cities have turned off water in order to get ahead of this community problem. Even if this drought ends soon, there will be another one, they keep getting worse and worse and water levels are not refilling back to previous storage levels. Global warming is happening, there is no doubt about it says Vice. California Governor Brown and the water board just announced a $1 billion emergency relief package. Water restrictions are in place limiting outdoor lawn and landscape watering to two day per week which accounts for about half of all consumption in urban areas. For 10,000 years, California had 10,000 residents and in 2015 that number has risen to 38 million, says Governor Brown, leaving about a year of water left for all people and pets to use as they presently do, according to the LA Times. This is indeed a non-partisan problem. 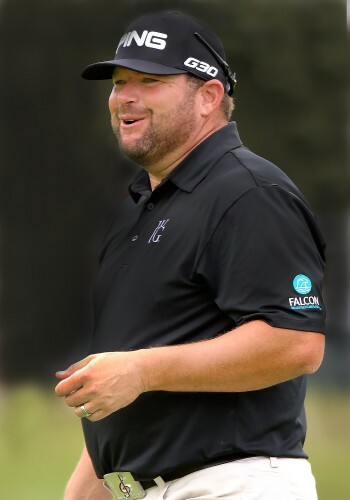 Falcon Water Technologies sponsored PGA Tour golf professional Jason Gore to evangelize water savings rebate programs implemented by local utilities throughout California in order to help overcome the possibility that the state has one year of stored H20 left after four years of drought. Sports Techie, with surface water at dangerously low levels and non-renewable groundwater being depleted at a rapid pace, this hydrological challenge is one all mankind needs to be proactive with. 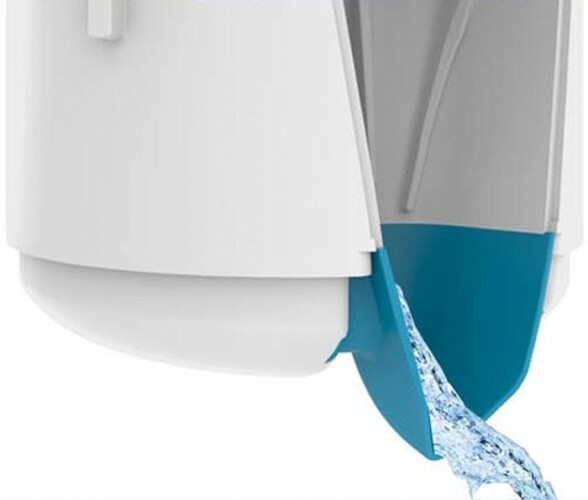 Recycling is only one way of helping the sustainability cause, another is to take advantage of rebate programs such as CA Shut The Flush Up by Falcon Waterfree Technologies. I hope Gore retweets this blog so his PGA Tour partners can as well so that golf course owners, operators and board of directors everywhere can understand why they need to begin making immediate water changes for the good of us all.